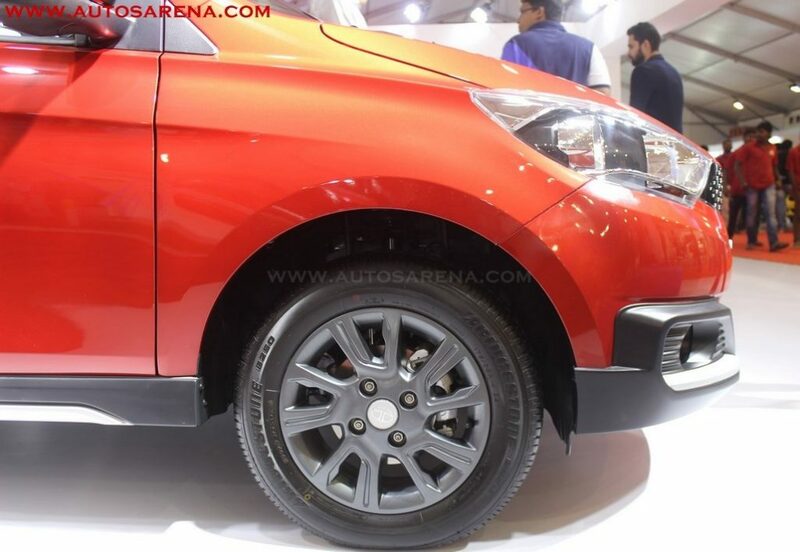 Tata Motors showcases Hexa, Tiago Aktiv & Safari Storme Explorer Edition at Autocar Performance show 2017. 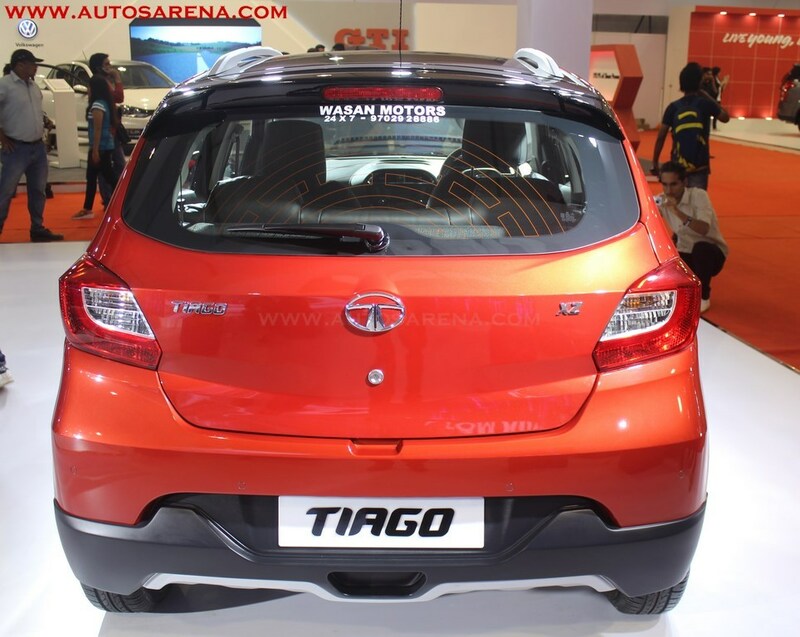 Tata Motors used the Autocar Performance show 2017 to showcase the Tiago Activ once again to the public. 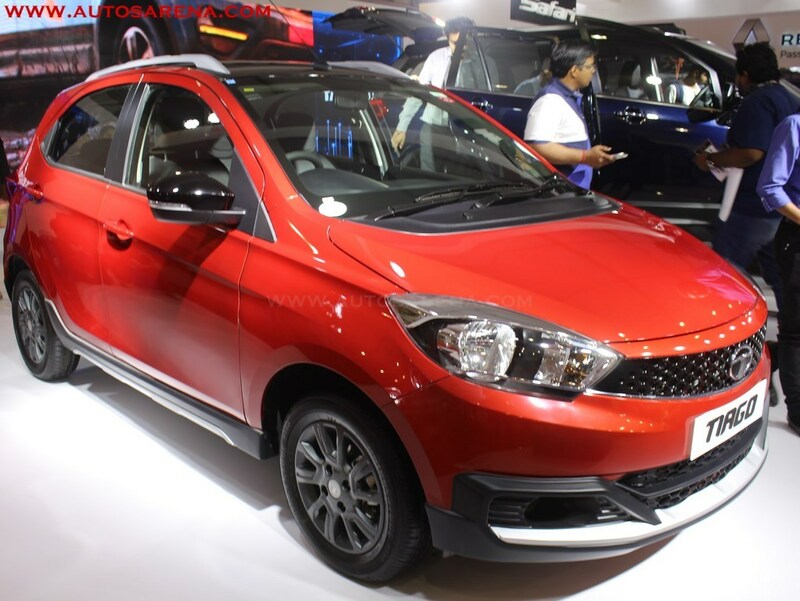 The company has showcased the Zica Activ concept at the 2016 Auto Expo. 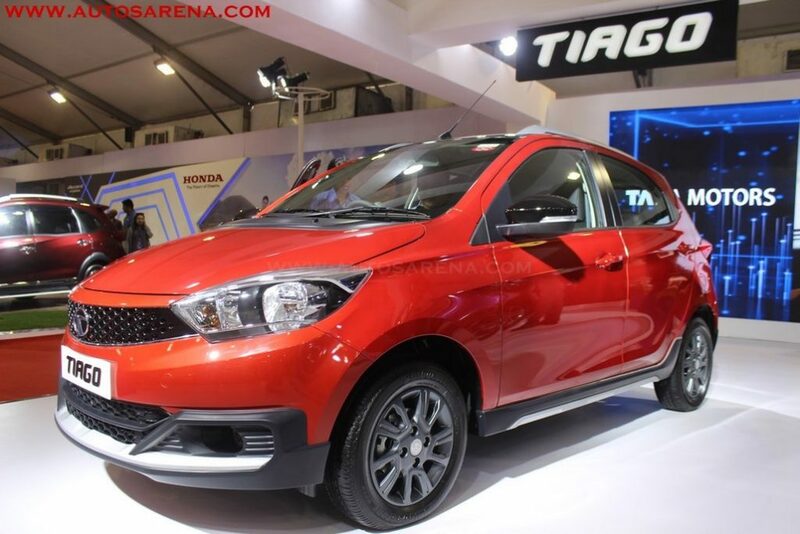 As per the staff, the Tiago Activ will go on sale very soon. 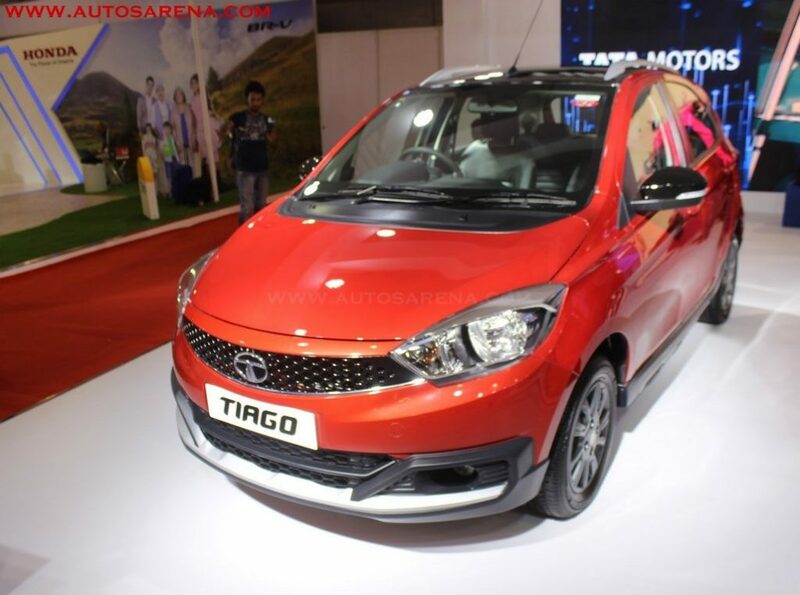 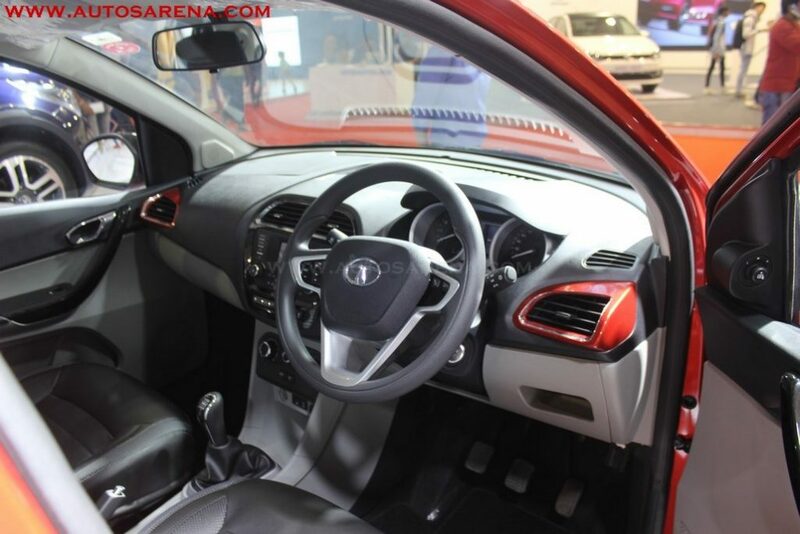 The Activ is the crossover version of the hot selling Tiago hatchback which has helped Tata Motors to regain the customer confidence. 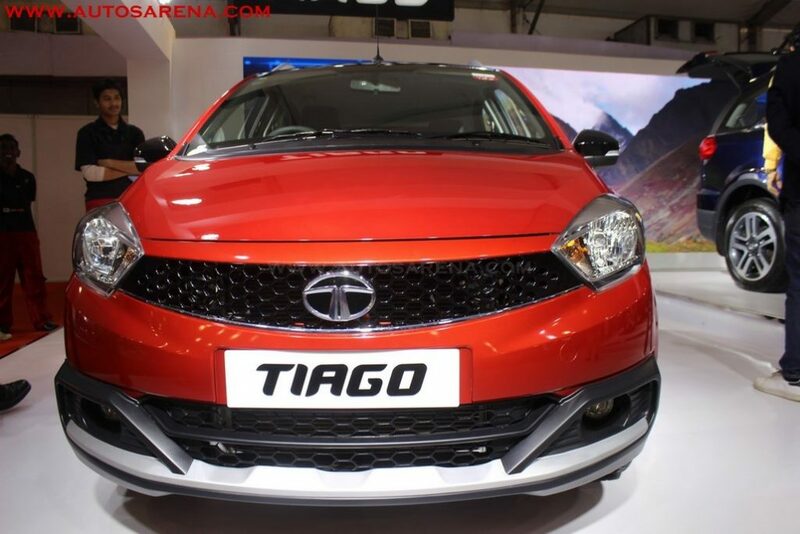 The company has plans to introduce the Tiago Activ soon and is mainly an accessory kit and could be available on the XZ variant only. 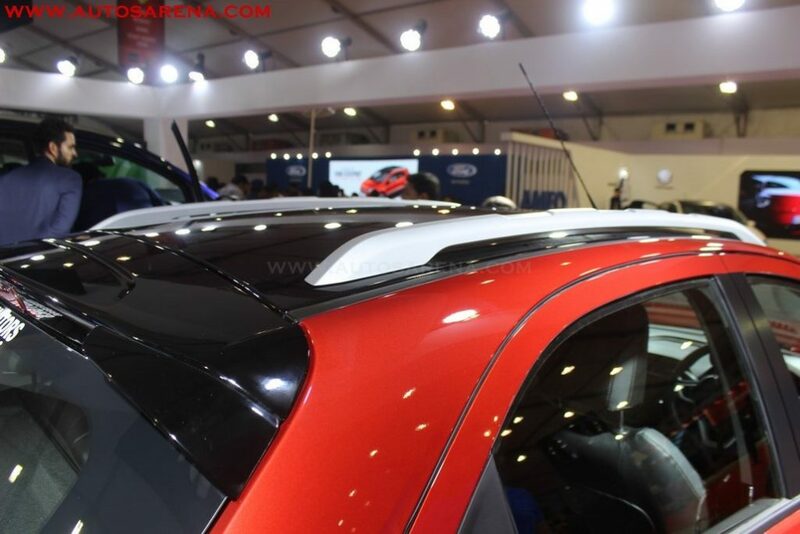 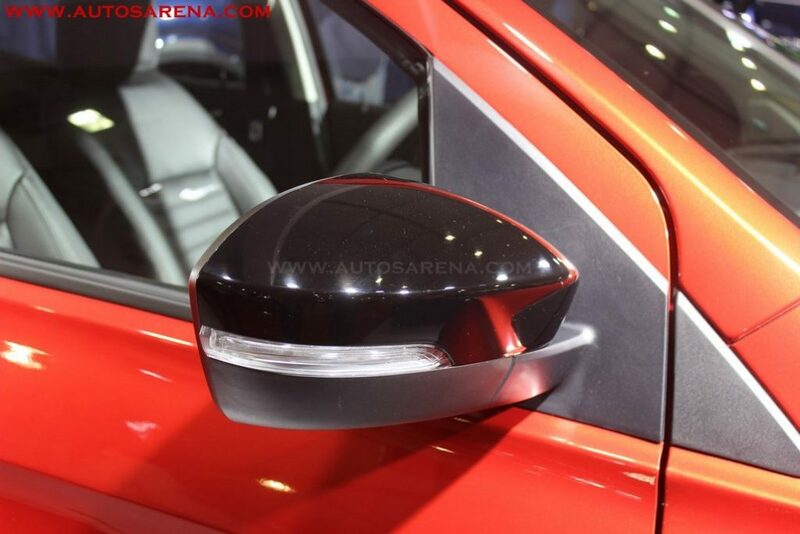 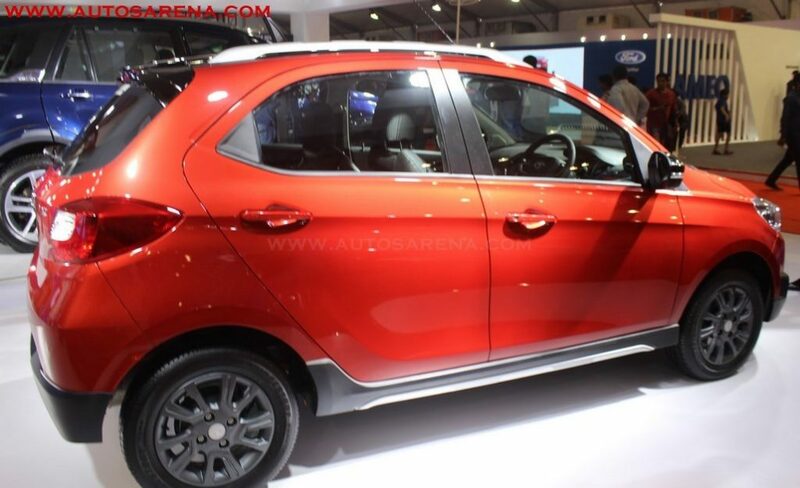 On the outside the Tiago Activ gets black cladding at lower end of the front and rear bumper, a silver bash plate at the front, side body cladding with silver finish, black roof and outer rear view mirror, silver finished roof rails, gun metal grey alloy wheels which are very different to the ones showcased at the 2016 Auto Expo. 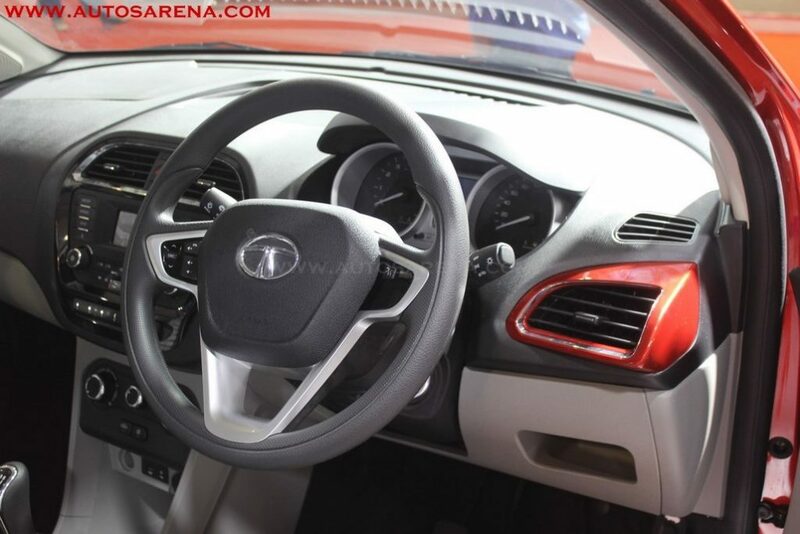 Interiors get exterior color coordinated panels on the dashboard and leatherette seats. 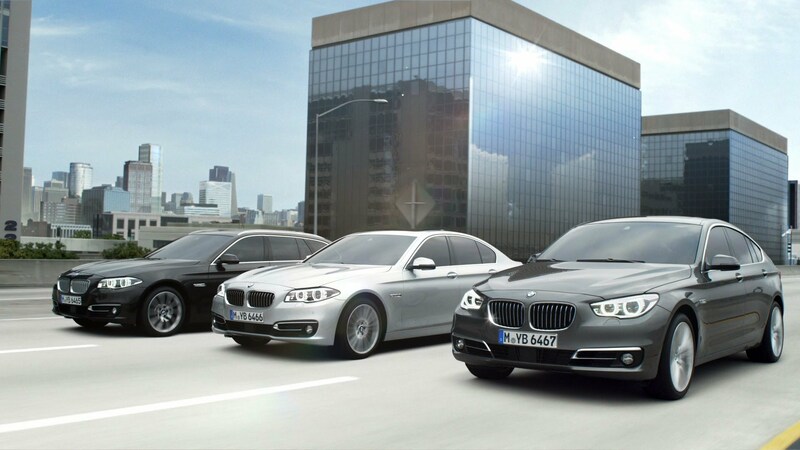 There are no changes apart from the above. 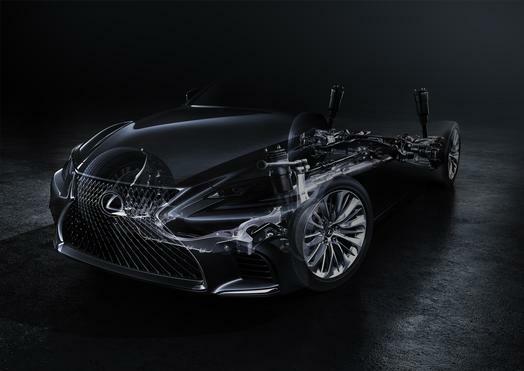 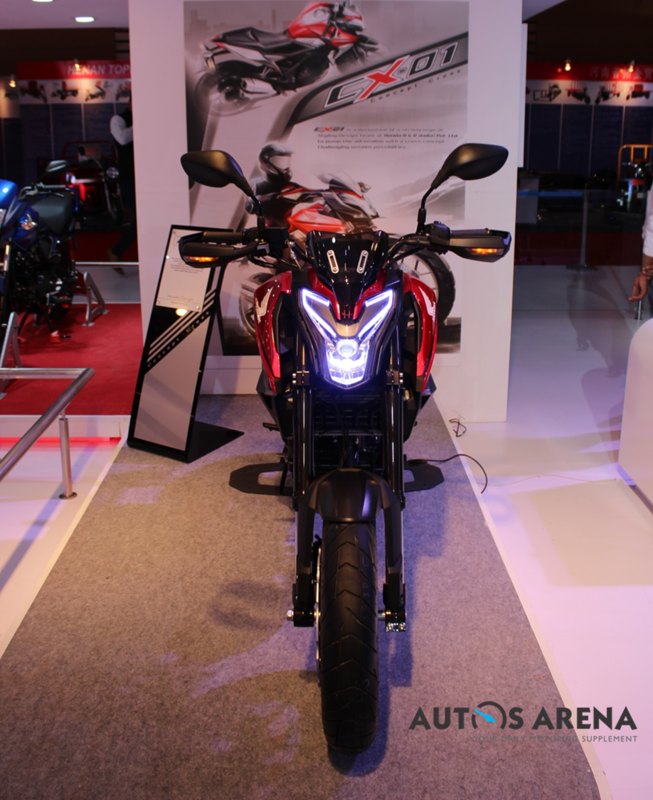 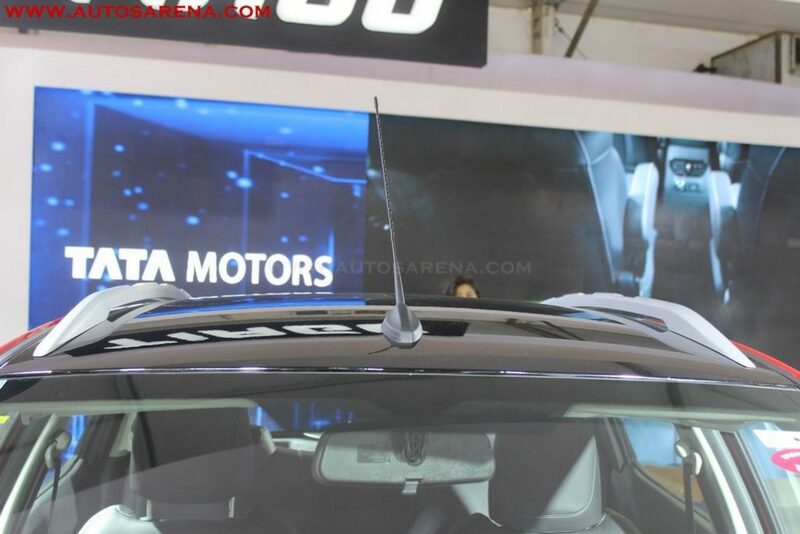 The car does not get decals and machined alloy wheels which were equipped on the concept showcased on the Auto Expo. The Tiago Activ could be offered on both petrol and diesel engine options. 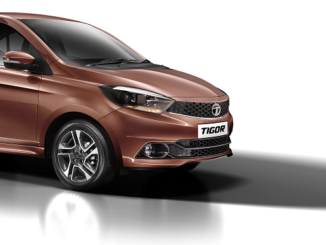 The Tiago has sold over 50,000 units since launch and is the best-selling car in 2016 and have helped Tata Motors move up from 6th to 4th in terms of overall sales. 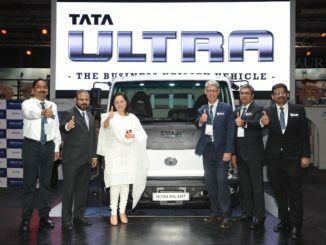 With more versions Tata hopes to expand the range which could help to boost sales further.